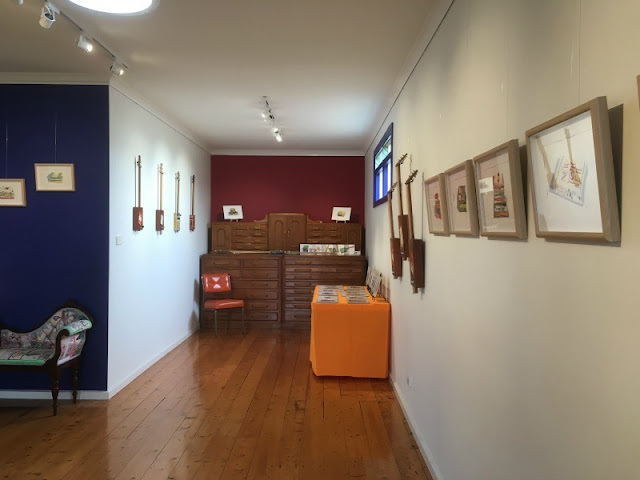 There's a little over a week left of my exhibition Marginalia at Blarney Books & Art in Port Fairy. One of the really fun things about this show was getting to collaborate with my husband, Kim. 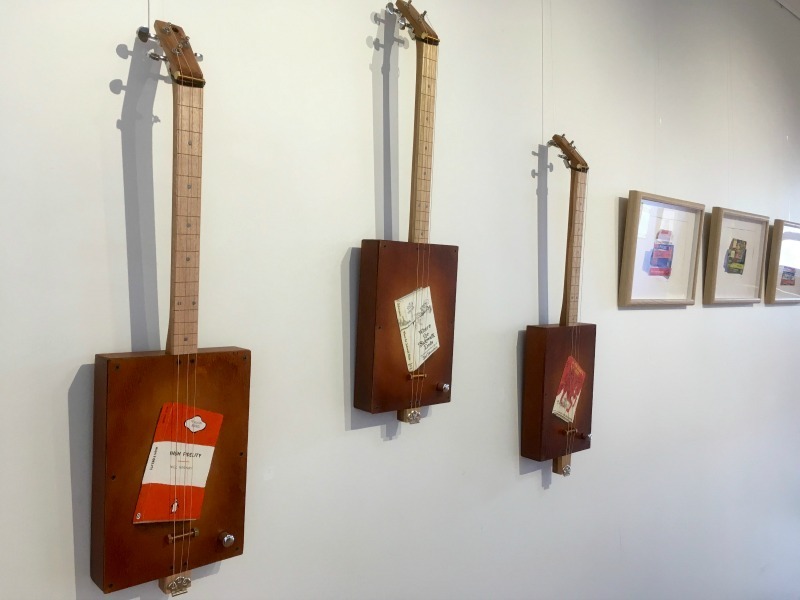 For a little while now he's been making cigar box guitars but decided for this show to tie in with the book theme by making guitars out of actual books. They not only look fantastic but sound amazing. 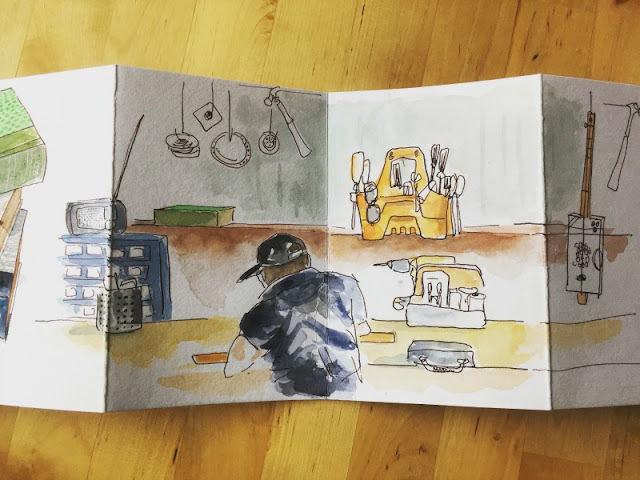 I decided to document the process of making a book guitar in an accordion sketchbook. 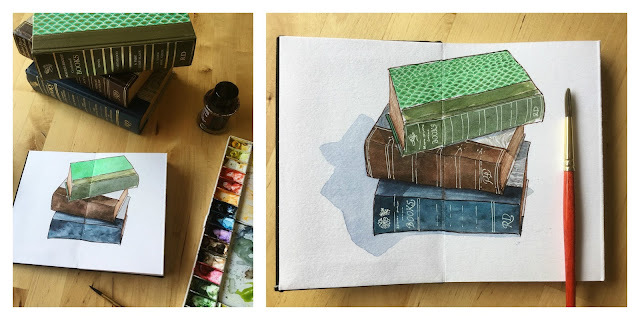 First I sketched the actual books. These are old Reader's Digest editions which I think came from my great-grandmother. Kim carefully removed all the pages and built a box to fit the covers. Each guitar has a pick-up inside so that it can be plugged into an amplifier. 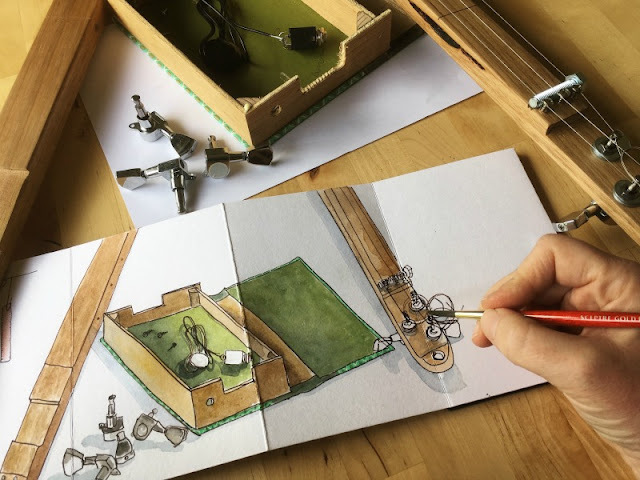 Before it all got built, I sketched the parts, including the tuning pegs. Kim gets out to his workshop mainly at nights and on weekends so a guitar might take anywhere between a week or several weeks to make depending on lots of factors like sourcing parts, the design and wood-craft involved in the neck (the most time-consuming aspect), making sound holes, attaching tuning pegs, stringing and tuning. The accordion sketchbook showing the making process is on display in the gallery. 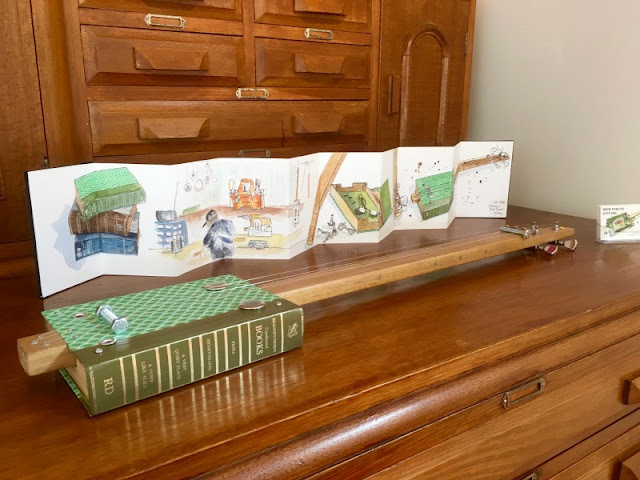 The green-patterned guitar featured in the sketchbook has now sold but other book guitars are still available, including extra special custom-made boxes featuring my book paintings. All the guitars are totally functional and are played with a slide. 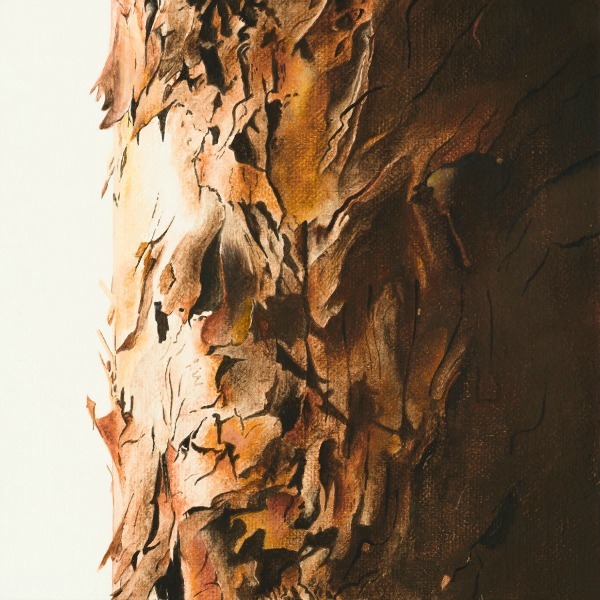 The show as a whole has had a great run with lovely feedback, sales of original paintings and lots of people taking prints home with them (many prints have sold out but for those interested more will be available in the gallery in the next few days). Marginalia is on for another two weekends - the final day is Sunday 29th January 2017.